If you have lost your job through no fault of your own, you may be entitled to unemployment benefits. These benefits provide temporary financial help to eligible individuals, based on their previous earnings, while they are seeking a new job. Unemployment benefits are offered through an insurance program run together by the federal government and the state. Filing for unemployment can be a quite confusing task. You should have complete information about unemployment benefits including how to apply, eligibility requirements, weekly benefit amount, important phone numbers and much more. If you presently reside in Texas, and you have worked in the state during the past 18 months prior to applying for unemployment, you must consider filing for benefits anytime online or call the TWC (Texas Workforce Commission) Tele-Center to supplement your income until you find a new job. Texas requires that you meet a certain minimum income to be eligible for unemployment benefits. You must have documented evidence of wages in at least 2 of the 4 base period (The first 4 of the last 5 complete calendar quarters before the start date of your unemployment claim) quarters. Moreover, your total wages in the base period must be 37 times your weekly benefit amount. If you have previously applied for benefits, you must have made at least 6 times your new weekly benefit amount since that time. If you were jobless for at least seven weeks during the base period owing to injury, illness, pregnancy or disability, you might be eligible to use an alternate period. If you meet the requirements under both base periods, you choose which base period to use. You must be either unemployed or work reduced hours through no fault of your own to be qualified for benefits. If you are out of work in a layoff, being fired for reasons other than misconduct, lost your job because of a reduction-in-force (RIF) and downsizing, or quit a job with good cause related to work, you may still be eligible for benefits. Along with the past wages and job separation eligibility requirements, you must also meet other requirements to stay eligible. 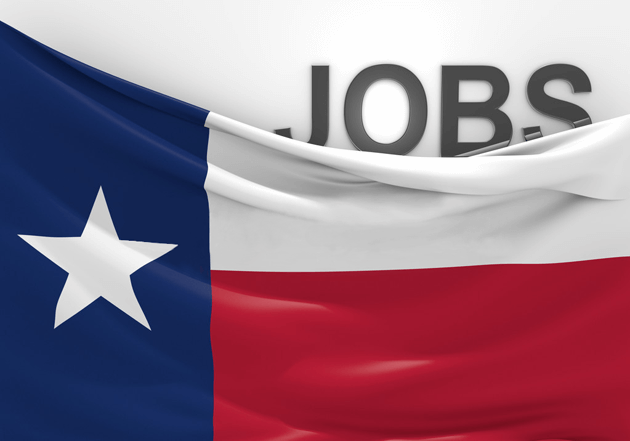 Register with Texas Workforce Commission and apply for a certain number of jobs per week. Document your work search activities, which can be asked by TWC at any time. Apply for and accept suitable full-time work. You can apply online at Unemployment Benefits Services. Call the Tele-Center at 800-939-6631. The office hours are Monday-Friday from 7AM-6PM central time. You can use the contact numbers available on our website. After completing your application, you must wait for at least 2 business days for the TWC to assess your application prior to checking the status of your unemployment claim. You should register for work online within 3 days of filing for unemployment. Once you have been approved for your benefits, the following step is receiving your payments. Your payments are either directly deposited into your bank account or made by the TWC Visa Card. By default, your payments will be deposited to the TWC debit card unless you sign up for a direct deposit. You must wait for 1 business day after you apply for unemployment benefits to change your payment options. You can change your payment option online or by phone. Note: If you sign up for direct deposit you will have to provide your 9 digit routing number, bank account number and type. How to Know the Status of Your Application? Requests for unemployment benefits are processed in about 4 weeks from the date you file for benefits. This time is used to gather information on your past wages, job separation and general eligibility. You can check the status of your claim online or call Tele-Serv at 800-558-8321 and select option 2. Every state in the US has its own rules for computing unemployment benefits. Your weekly benefit amount (WBA) is the amount you collect for weeks you are qualified for benefits. In Texas, your WBA is the wages in the highest paid quarter of the base period divided by 25. Presently, the maximum you can collect is $479 and the minimum amount you can receive is $65 per week based on your past wages. Your maximum benefit amount (MBA) is the total sum you can collect during your benefit year (the 12 month period that your unemployment claim is in effect). Your MBA is either 26 times your WBA or 27% of all your wages in the base period (whichever is less). You must be partially or totally unemployed and meet the eligibility criteria. Your benefit year starts on the Sunday of the week in which you applied for benefits and stays for 52 weeks. Your benefit year remains in effect for those dates even though TWC disqualifies you to collect all of your benefits. You may exhaust your unemployment benefits before your benefit year expires. You can use our free tool to estimate your approximate unemployment benefits before applying. You will require wage information for the past five quarters and the pay period information for the past five quarters. If you work temporarily, you can earn up to 25% of your weekly benefit amount before TWC reduces your benefit payment. For instance, if your WBA is $160, you may receive $40 without a reduction. If you earn $50, your WBA for the week is reduced to $150. In both the cases your benefits and your earnings equal $200. If you earn more than $200 and working the customary permanent hours for your profession, you are not eligible to collect benefits for that week. TWC investigates any job separation you have while receiving benefits to decide whether you can continue to collect benefits. How to Keep Receiving Unemployment Benefits? You must be partially or totally unemployed and meet the following requirements to continue to be eligible for benefits. How Long Will Your Unemployment Benefits Last? In Texas, you can collect benefits for a maximum of 26 weeks. There are two programs that offer additional weeks of benefits in times of high unemployment: extended benefits (EB) and emergency unemployment compensation (EUC). At this time, there are no extended benefits available in Texas. TWC last paid extended benefits under the Emergency Unemployment Compensation (EUC) program, which ended on December 28, 2013. TWC pays federal extended benefits only when the U.S. Congress passes legislation to create a federal benefits extension program. All potential recipients are notified by TWC if an extension is available. If your claim for benefits is denied by the state of Texas, you may choose to appeal. You can submit your written appeal online, fax or mail to the Appeals Department and in person at your nearest Workforce Solutions office. You cannot submit your appeal over the telephone or by email. You may appeal to a civil court between 15 and 28 days after the TWC mailed you the Commission Appeal decision. Unemployment Benefits Fraud is Punishable by Law! Unemployment insurance fraud can be charged if you illegally file for benefits. 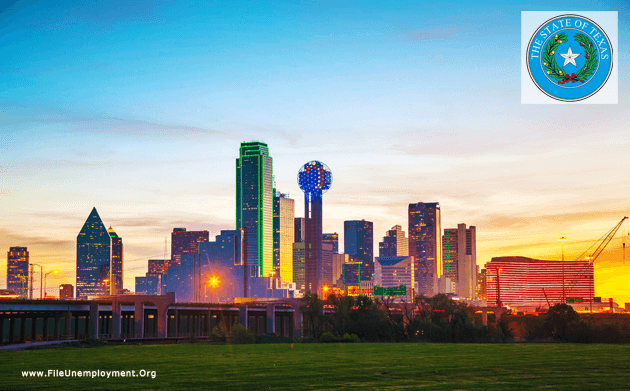 In Texas, unemployment benefits fraud is regularly prosecuted at the felony level. Penalties may include fines of up to $4,000 or jail up to one year or both, loss of benefits received, and the right to benefits that remain in your benefit year. Unemployment fraud can happen if you misreport previous income, fail to seek a new job, lie on an application or do not report an income source. If convicted of unemployment fraud, you must pay back benefits that you were not eligible to receive and a 15% penalty on benefits you illegally received. The Texas Unemployment Compensation Act (TUCA) is the legal basis for initiating a civil suit against you for the collection of past due benefit overpayments. DO NOT contact TWC via email. Instead, you may report any allegations by calling the TWC Fraud Hotline at 800-252-3642.